I am not really objective when I say that I hope you have read the most recent Guide to Continuous Delivery Vol. 3 as I had the honor to contribute an article to it. My article is about mapping out a roadmap for your DevOps journey and I have an extended and updated blog article in draft on that topic that I will push out sometime soon. There is a lot of really good insight in this guide and for the ones with little time or who just prefer the “CliffsNotes”, I want to provide my personal highlights. I won’t go through every article but will cover many of them. Besides articles the guide provides a lot of information on tooling that can help in your DevOps journey. The first article covers the CD survey that was put together for this guide. While less people said they use CD this might indicate more people understanding better what it takes to really do CD, I take this a positive indication for the community. Unsurprisingly Docker is very hot, but its clear that there is a long way to go to make it really work when you look at the survey results. Very decent guidance on how to create your CD pipeline, the two things that stood out for me are “Measure your pipeline”, which is absolutely critical to enable continuous improvement and potentially crucial for measuring the benefits for your CD business case. It also highlights that you sometimes need to include manual steps, which is where many tools fall down a bit. Gradually moving from manual to full automation by enabling a mix of automated and manual steps is a very good way to move forward. An interesting article on measuring more than just functional testing in your pipeline. It stresses the point to include performance and stress testing in the pipeline and that even without full scale in early environments you can get good insights from measuring performance in early environments and use the relative change to investigate areas of concern. There is other information that can provide valuable insights into architectural weaknesses like # of calls to external systems, response time and size for those calls, number of exceptions and CPU time. Three of the keys are quite common: Culture, Automation and Cloud. What I was happy to see what the point about open and extendable tools. Hopefully over time more vendors realise that this is the right way to go. An interesting short model for measuring ROI, it uses lots of research based numbers as inputs into the calculations. Could come in handy for some who want a high-level business case. I really liked this article with quite a few handy tips for managing Microservices that match my ideas to a large degree. For example you should only get into Microservices if you already have decent CI and CD skills and capabilities. Microservices require more governance than traditional architectures as you will likely deal with more technology stacks, have to deal with additional testing complexity and require a different ops model. To deal with this you need to have a real-time view of status and dependencies of your Microservices. The article goes into quite some detail and provides a nice checklist. No surprise here to see the State of DevOps report, Phoenix Project and the Continuous Delivery book on this list. Make sure to check out the DevOps Checklist on devopschecklist.com – there is lots of good questions on this checklist that can make you think about possible next steps for your own adoption. A lot of common ground get revisited in this article like the need for immutable Microservices/containers, Canary launches and A/B testing. What I found great about this article is the description of a useful tagging mechanism to govern your containers through the CD pipeline. Some practical guidance on leveraging the power of CD pipelines to increase security, a topic that was just discussed at the DevOps Forum in Portland too and which means we should see some guidance coming out later in the year. The article highlights that tools alone will not solve all your problems but can provide real insights. When starting to use tools like SonarQube be aware that the initial information can be confusing and it will take a while to make sense of all the information. Using the tools right will allow you to free up time for more meaningful manual inspections where required. Based on interviewing 24 executives this articles gathers their insights. Not surprisingly they mention that it is much easier to start in a green fields environment than in brown fields. Even though everyone agrees that tools have significantly improved, the state of CD tools is still not where people would like it to be and many organisations still have to create a lot of homemade automation. The “elephant in the room” that is raised at the end is that in general people rely on intuition still for the ROI of DevOps, there is no obvious recommendation for how to measure this scientifically. 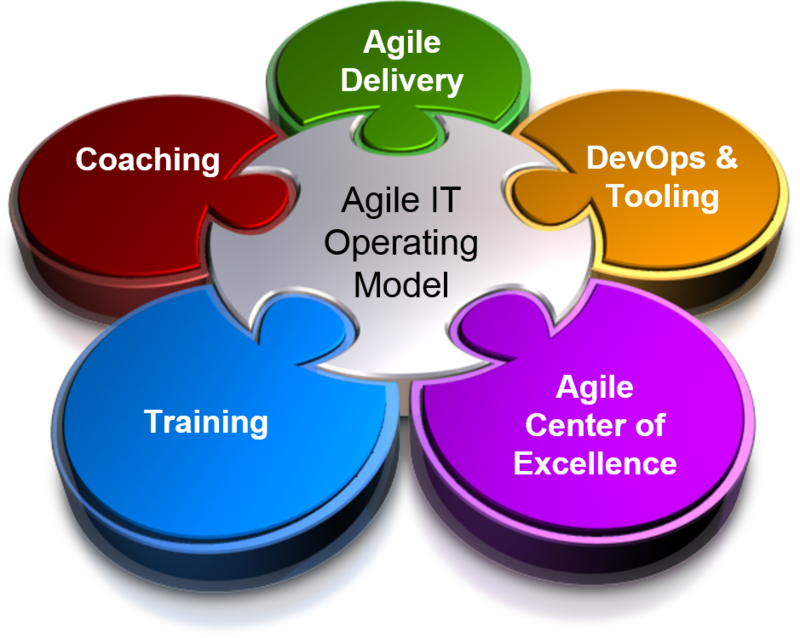 This entry was posted in Agile and DevOps, DevOps on May 17, 2016 by Mirco Hering. I recently ran a seminar on Agile governance, so what does this even mean? Agile governance requires you to find the right balance between the complete chaos of no governance at all and the smothering of all Agile benefits in overbearing governance. In this article I want to provide an overview on Agile governance across a few levels: Transformation, Program, Project and team level. There is a lot more to be said than I can put into this post, so expect me to come back to this over time. I have shared my view on how to manage at the program level before here. Just one additional word of warning: Do not try to compare teams against each other for performance measurements, even under the guise of gamification this really can only lead you to bad development patterns. There are teams where this works and where their leaderships does not use the information for the wrong reasons, but the risks are higher than the benefits. Defining the success criteria for each team individually is a much better way to deal with this. Additionally you can use Agile maturity models and Agile metrics for teams to evaluate themselves and their progress in maturing their Agile practices. Good coaches can help teams in this evaluation without being judgmental. I am looking forward to hear from the community what you use to govern your Agile adoption across the different levels. This entry was posted in Agile on May 12, 2016 by Mirco Hering. Is there such a thing as Hybrid Agile? After many discussions, people convinced me that “Hybrid-Agile” is what is otherwise called Water-Scrum-Fall and after some deliberation I admit that this makes sense to me. Of course the term Water-Scrum-Fall or similar phrases are often used with contempt or smiled upon, but when you look closer, this is reality in many places and for good reasons. This entry was posted in Uncategorized on May 10, 2016 by Mirco Hering. I have been thinking about DevOps tools a lot and discussions about tools often distract from the real problems. But what are the right DevOps tools. Well I will not go into specific tools, instead I will tell what I am looking for in DevOps tools beyond the functionality they provide. In my experience you can build good DevOps tools chains with just about any tool, but some tools might take more effort to integrate than others. I will also provide some guidance on how to manage tools at the enterprise level. It seems that new DevOps tools appear on the market every month. This is extenuated by the fact that it is difficult to classify all the tools in the DevOps toolbox. One of the best reference guides is the xebialabs periodic table of DevOps tools (https://xebialabs.com/periodic-table-of-devops-tools/ ) which is well worth checking out. Before I go into the details of what characteristics a good DevOps tool should have, I want to address one other aspect: Should you have one tool or many in the organization? So then the first check is how well APIs are supported. Can you trigger all functionality that is available through the UI via an API (command line or programming language based)? We should treat our tools just like any other application in the organization, which means we want to version control it. The second check is hence whether all configuration of the tool can be version controlled in an externalised configuration file (not just in the application itself)? Related to the second point is the functionality to be able to support multiple environments for the tool ( e.g. Dev vs Prod). How easy is it promote configuration? How can you merge configuration of different environments (code lines)? We want everyone in the company to be able to use the same tool. This has implications for the license model that is appropriate. Of course open source works for us in this case, but what about commercial tools? They are not necessarily bad. What is important is that they don’t discourage usage. For example tools that require agents should not price for every agent as this means people will be tempted to not use it everywhere. Negotiate an enterprise wide license or ‘buckets of agents’ so that not each usage will require a business case. Visualization and analytics are important aspects of every DevOps toolchain. To make this work we need easy access to the underlying data and that means we likely want to export data or query data. If your data is stored in an obscure data model or you have no way to access the underlying data and export it for analysis and visualization then you will require additional overhead to get good data. Dashboards and reports within the tool are no replacement as you likely want to aggregate and analyse across tools. I hope these criteria are all relatively clear. What is surprising is how few tools adhere to these. I hope tool vendors will start to realize that if they want to provide DevOps tools they need to adhere to the cultural values of DevOps to be accepted in the community. Hopefully the tools you are using are adhering to many of these points. Let me know what you think in the comments section of this blogpost. I am very curious to learn how you perceive DevOps tools. This entry was posted in Uncategorized on May 4, 2016 by Mirco Hering.